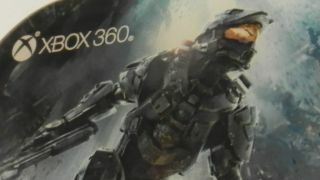 Master Chief and Xbox - a match made in heaven? Halo's Frank O'Connor has explained why he thinks that Halo has become a pivotal and defining game for the Xbox console. Nintendo has Mario and Sega had Sonic for mascots, whereas Sony's PlayStation leaned more on big ticket games like Killzone and Gran Turismo. But if the Xbox was to be given a mascot and a defining game it would almost certainly be Halo and its star Master Chief – and both have been a key factor in the console's rise to its current standing battling at the top of the gaming world. "It's funny I've worked on every single iteration of Halo except the first one, and even then I cheat and say that by working on [the HD remake] Halo: Combat Evolved Anniversary I have done that too!" O'Connor – the franchise development director for Halo told TechRadar at the launch of Halo 4. "The way your question was phrased makes me think of it in a way I hadn't thought of before which is that Master Chief is something of a mascot for the Xbox 360, but I don't think Halo was a mascot game. "It ended up as a pivotal game and definitely a defining game for the Xbox but I grew up with mascots like Mario and Sonic and all that stuff and it's funny to think about it in that perspective and about how definitive that feels to players. "I think Halo has always been both the sum of its parts and more than the sum of its parts in terms of what it offered to people, so outside of the actual mascot aspect it was about a very new type of experience that were brought about by assembling a group of well understood experiences." O'Connor explains that, although he does not claim Halo changed gaming, it did popularise many now familiar features and controls. "It's not so much about reinventing the wheel; it was more about making it rounder," O'Connor said. O'Connor: "It's not so much about reinventing the wheel; it was more about making it rounder." "With the first Xbox it solved a lot of things that weren't exactly rocket science but simply hadn't been solved properly before like twin analogue sticks to emulate certain mouse keyboard things. "Obviously in Halo 2 we had Xbox Live match-making, so it's defined a lot of things that we completely take for granted now and have become a part of games that sell more than we do like the Call of Duty series. "We never claim to have invented these things but it refined them in a way that made them very approachable and player friendly."